Sea lions are found in large numbers in the subantarctic islands. Once common along the coasts of the main New Zealand islands, they have returned to Stewart Island since the 1980s. 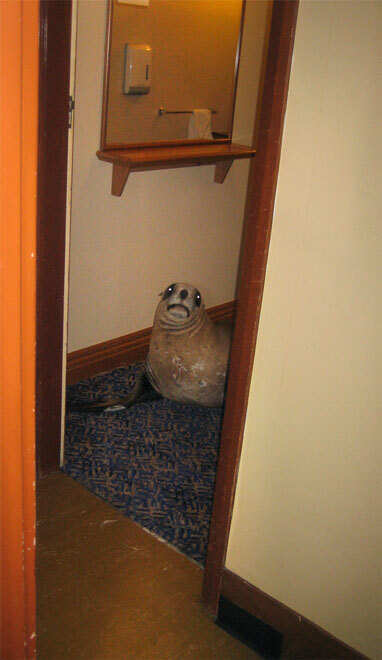 This young female is in the hallway of the South Sea Hotel in Halfmoon Bay (Oban) in 2007. This was one of several occasions on which she had to be moved on by Department of Conservation staff to avoid conflict with humans.